Up until recently, I've been stuck in a little bit of a skincare rut. I hadn't been in a proper routine for a very long time, my skin was SO dry and breaking out to the point where I was just feeling pretty miserable about my complexion. I needed a shake-up, and sharpish. 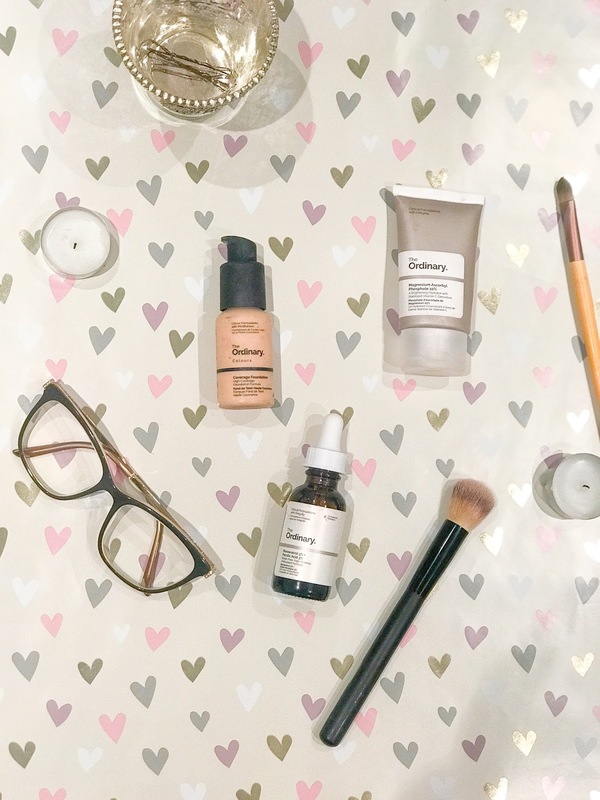 My lovely friend Amie has never let me down when it comes to beauty recommendations, and so I went to her for a bit of advice on how to sort my skin out. She told me about the Ordinary, a brand that I'd never heard of before but was promised would be perfect for my poor dehydrated face. I quickly headed to the Internet to see what I could pick up, and in all honesty, I was put off almost instantly. Why on Earth did all of the products just contain the names of different chemicals? What do they all mean? How am I meant to decipher what each product will do without having a Chemistry degree?! I almost gave it all up and logged on to Boots to have a scour at the offers. I decided to stick with it though and just look in depth at the descriptions to work out which products would work best for me. Everyone knows I'm an absolute sucker for pretty packaging, but The Ordinary products are the exact opposite. Simplistic, no-fuss and well, ordinary. But in this case you don't really mind, as the products themselves do all the talking. The formula itself was quite thick, much thicker than most other serums I have used. Based on some reviews I've read, the gloopiness seemed to put people off a little because it takes a long time to absorb, but personally I didn't mind. Popping it on and going off for twenty minutes to dry my hair or eat my breakfast works quite nicely for me. And by the time I could put my moisturiser on, my skin already felt smoother and looked a little brighter. I also grabbed the Magnesium Phosphate moisturiser, which is full of Vitamin C and designed to refresh and lift your skin. It's such a lovely, light cream moisturiser which instantly made a difference to my poor dry skin and left it looking bright and dewy, and it's also the perfect base for make up. Speaking of make up, I added a little bonus buy with the Coverage Foundation. It's worth noting that I am SUPER fussy with foundation, normally opting for high-end brands. I'm also not usually a fan of full-coverage foundation, I've never found one yet that suits my skin as they just tend to look way too heavy. But this time, I decided to take a gamble, and if I hated it, I'd only have lost £6, right? The first thing that I loved about this foundation was the fact that you could choose your shade including the undertone. This was perfect for me because I'm always worried about base products coming up too yellow on my skin. Once I actually got my hands on it, I fell in love. It is a fuller coverage than I would usually go for, but it doesn't look cakey on the skin in the slightest, and it blends like an absolute dream. It's also really easily buildable to suit day-to-day and evening looks. I find myself reaching for it way more often than I thought I would! I got all three items for under £20, and for the quality of products, I couldn't be more thrilled. Who said you had to spend a fortune to get decent products, eh?! 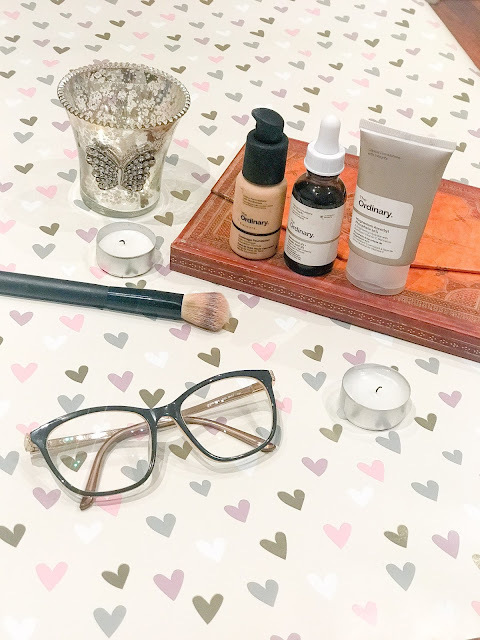 Have you ever tried the Ordinary? I still haven’t used anything from the Ordinary!! From your post tho I know what to buy for a first go! I've got a similar post going up soon, so great minds think alike! Also you're all kinds of welcome with the recommendations! That packaging looks amazing! I've got to have a look at them and see what products they've got. I have one of their serum/ masks but I was tempted to try their foundation after reading a good review- struggling to find a cruelty-free one to replace my Estee Lauder Double Wear and for £6 I thought it was definitely worth a try! May give the other serum and moisturiser a try after reading this too, my skin could definitely use a boost! I really want to try some of the ordinary products, mainly the skincare. It's so affordable too!